And the world said “Let Shinzo Abe be”, and all was light. A new craze is sweeping the planet. Known by the title “Abenomics” over the last couple of years it has been steadily gathering adepts in financial markets across the globe. Despite the fact Abe’s move fits comfortably within the austerity vs growth policy axis, at the heart of the new approach lies not a strategy to directly create growth per se, but rather one to try to induce inflation. For those who have not been following the Japan saga as it has developed over the last twenty odd years this whole debate may seem like a strange way of thinking about things. After all isn’t inflation supposed to be a bad thing, one central banks are supposed to combat? And how can a country possibly become more ever more competitive by force-feeding itself inflation? Of course, falling prices are not necessarily in-and-of themselves a bad thing – as any old consumer will tell you – since products get cheaper and cheaper with each passing day. So the run of the mill consumer might find life in Japan quite a pleasing and desirable thing, especially if that particular consumer happens to be retired and living on a fixed income derived from savings as indeed many contemporary Japanese actually are. Falling prices only really become a problem in a more general macroeconomic sense if they lead people to postpone consumption, and if this postponement becomes self-perpetuating in a way which leads prices to continually fall, as the combination of constant productivity increases and stagnant demand serve to produce perpetual oversupply. Falling prices also represent a nasty headache for policymakers since while prices go down the value of accumulated debt doesn’t, and herein lies the rub. So additional “stimulus” which doesn’t lead to increasing nominal GDP simply pushes the sovereign debt even farther along an unsustainable trajectory. As everyone now recognizes and accepts Japan has a rapidly ageing population and an ageing and contracting workforce. This is the end result of several decades of very low fertility. The number of children in Japan fell to a new low in 2013, while the amount of people over 65 has reached a record high as the population ages and shrinks. This demographic background, which has really been obvious to demographers for years, has only lately come to be regarded as a significant factor in the “Japan problem” by economists. 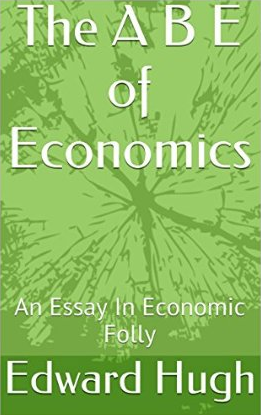 This neglect has most probably been due to the influence of a deep seated predisposition among adherents of neoclassical growth theory to think that population dynamics don’t fundamentally influence economic performance in the long run. For many years the Japan phenomenon was simply seen as a classic example of what Richard Koo terms a “balance sheet recession” wherein the need for the private sector to deleverage from excessive indebtedness leads to a form of structural under-consumption. Perhaps the most important thing which the whole Abenomics episode has brought to light is the urgent need to bring the existing corpus of economic theory somehow up to date with our modern realities. Despite all the talk of policies for “growth, growth, growth” a simple look at the population outlook in OECD countries and especially the potential work force numbers suggests that, at some point or another, economic growth will turn broadly negative. So the real point is there is an experiment being conducted in Japan, but the experiment isn’t Abenomics (which I suspect won’t work, and could end badly). No, the experiment is about learning to grow old with dignity, not as individuals, but as societies. It is about managing debt in a time of deflation, about giving opportunities to the young, even while the force of the ballot box rides with the old, and about finding ways to ease that rate of work force decline to give some additional room to allow productivity to help, which means both immigration and helping the young – at they are the ones who start families. The remainder of this post can now be found in my Kindle e-book published with Amazon. You don’t need to buy a Kindle to read this book. You can download a free app from Amazon. This entry was posted in A Fistful Of Euros, Economics, Economics and demography, Economics: Country briefings, Economics: Currencies by Edward Hugh. Bookmark the permalink. I appreciate your critique of Krugman’s fixation on monetary policy being the way out for Japan. However, I find issue with your counter-scenario or black swan. You state, and Soros hints, that Japan could have a massive currency collapse, if it persues 2-4% inflation, by Japanese investors and businesses taking international currency flight. I don’t think that is plausible for the following reason. It is my understanding that Japanese investors are not like other investors, such as those in the US. They can’t just take yen and plow it into a Vanguard Developing market fund. Their savings are channeled through banks and businesses, which are just holding yen cash deposits and bonds (the later almost like cash now). So, if the BOJ and MITI felt threatened by a massive currency flight, they could simply enact currency controls to protect against such a scenario. I don’t think 2-4% inflation will cause a calamity, and your counter-scenario is a lot less plausible than the druggery Japan is going through now. What Abe is hinting at doing, I think, is an above-and-beyond strategy of let’s do everything. Raise inflation to 2-4%, try to get women integrated more into the labor market (raising supply and production), and gin up some government spending. Wiping out zombie corporations, improving corporate governance, reducing costs for Japaense consumers (food, energy, and housing come to mind) would also be beneficial. Perhaps that will come in due course. But I don’t see how the supply-side solutions, which would all lead to increased fertility, could be done without some demand-side improvement with new inflation. I am arguing that what we have to do is try to find a way to learn to live with are shrinking economies and ongoing deflation, since this is what we are likely to see in one country after another as the century progresses. Beyond that, I don’t have all the answers but I do think what is going on in Japan is very dangerous, especially for the misalignment of risk pricing that is going on in economies all over the globe. I take the Italian yield as but a simple example. “However, I find issue with your counter-scenario or black swan”. I think there is a misunderstanding here. The black swan I am talking about is the discovery that a country exists which can’t deleverage, not that there will be a currency collapse, there have been plenty of those in the past. At one point people thought all swans were white, then they found one which was black. Markets are assuming all countries can deleverage, then they will find they can’t. Basically I don’t think the BoJ can get 2%-4% inflation whatever it does. What I do think is that the country can devalue by 20% to 30% a year, and people can learn to expect that. You say they will put in capital controls. You may be right, but each move here has new implications, and I’m not sure how the Ms Watanabes of this world would react to discovering they could no longer trade in Kiwi dollars from their mobiles and that their country had suddenly become another Cyprus. If this is the way forward, then I’m a Dutchman. Having said that, I doubt this is going to happen, because I think the G20 will force them to back off and abandon the experiment. With a mere 30% devaluation against the Euro the German economy is already flatlining on the border of recession, they won’t stand for another 30%. This abandonment, were it to happen, would have large repercussions for risk pricing in Europe. Italian debt, for example, would then clearly have no way out. I imagine this kind of recognition is what will usher in the second global financial crisis. I don’t agree. What I try to offer in this piece is a theoretical explanation, using the same starting point as Krugman does over demography, as to why the transmission link between money printing and inflation is broken in Japan, basically because the demand side pull is no longer there. So I don’t think the inflation solution will work because they simply can’t get it. Which leaves us with the government debt which continues to mount. This is why I disagree with the above sentence, since I think the risk is not low. If you can’t burn down the debt via inflation, then you will need to restructure it. This will mean Japanese savers who own the debt, or who are subordinate debt holders with banks that do, will have to pay. This will just make the under-consumption issue worse (and a lot of people very angry), and round and round and down and down the bath plughole we will continue to go. I think its better to face up to where we are, and what the problems are even if there is no evident “solution” in the normal sense. Thanks for your thoughtful reply. This is a great discussion and I am learning a lot about your thinking, and I do greatly appreciate you trying to integrate demography into maco econ. I guess I am more confident on how this will game out. First, Japan goes for 4% inflation target. Gets it. Exports ramp up big-time. Debt goes down. Japanese savers on the one hand take a hair-cut, but the interest rates that their savings generate goes up. Japanese eldery cannot take as many vacations overseas. Tragic. Overall, helps Japan across the board, since like Germany, its demography demands high exports. Second, G20 gets upset. Abe laughs at their face. What can G20 but pout? G20 will be compelled to devalue across the board, unless get swamped by Infiniti G37s (nice car, I lease one. Wish it was cheaper though…). G20 gets out of depression, with Euro-zone either solidifying and disintegrating (the later short-term pain, long-term gain, a la Argentina 2000s). Abe consols the olds with taxes on the youngs to give money to the olds. Social security. If he so chooses, tackle the infertility rate be empowering women more across society, mass day-care, reduce food, energy, and housing prices. I guess I am less sanguine than you are that we just have to live with deflation. We were able to beat inflation when the demographics partly drove it. I believe socities can beat deflation regardless of the underlying demographics. I don’t think BOJ can use standard market operations to generate inflation, per the demographics. Not enough young folk to take out loans, the old folks don’t even want loans. So, BOJ buys Japanese bonds like crazy. Maybe crap debt of corporations and housing. BOJ does not give a damn about return. Japan’s government debt goes down. Milton Friedman’s high-powered money solution. Exports go super-high. Infiniti G37s for every young male in the OECD. Puts people to work in Japan. Maybe Rosie the Robot Riveters too. Demographic profile improves. Closer to some ideal “equilibrium”. Also, my recollection of Argentina is different than your’s. Yeah, things sucked for a year or two after they de-dollarized their economy. But things were super-awful beforehand. But things greatly improved thereafter. They have survived longer with above-acceptable inflation than below. One think I think would help a lot, or at least have a lesser chance of negative effects than a consumption tax, is a new property tax that’s highly progressive, and highly targeted towards the two megapolis–to be phased in over ten or some standard unit of time. I think much of the deflation problem has a direct relationship on the ridiculous harshness of debt in Japan and the lack of decent housing where there are jobs. If not a jubilee, then forcing corporations out of Nagoya, say, and in to Sapporo or Sendai or some other under-utilized city, particularly on the western Honshu coast. If industry can be moved out a bit, and housing follows, with a better income stream like property taxes, debt can be serviced, and I bet more young people would have kids–more valuable land (because of utilization and network effects) spread throughout the country puts more money in more people hands, and a property tax that discourages simple exploitation should have that effect. The extreme silly high housing burden and the acquired extreme debt from the bubble almost 25 years ago are a major part of the story. Turn that around, either by jubilee or by implicit land redistribution, and I think better consequences would follow. – Over the last few decades, while investment in Japan has dropped as a percentage of GDP, savings dropped even more as consumption rose fairly steadily from well under 70% of GDP in the early 90s to almost 80% percent more recently. So, isn’t Krugman’s take that their problem is rooted in savings consistently exceeding investment rather questionable? In any case, some of Japan’s best growth periods occurred when the trade surplus was highest (i.e. savings most exceeded investment). – I also wonder about their ability to produce inflation. While I think you’re right that (between the overall debt burden and the demographics) the deflationary undertow is exceptionally powerful, aren’t sufficiently aggressive efforts to trash the currency likely to eventually succeed and forcefeed inflation as a side effect? As you (and Soros) suggest, all this is taking us into new territory and whatever unfolds may well be distinctly nonlinear. Dalio’s “beautiful deleveraging” thesis, on the other hand, seems rather one-dimensional. Fascinating and troubling article. This clarifies many of the questions I had. What I think is novel here is the idea that rather than a slow whimper, the demographic crisis could come to an end with a bang. And ironically hastened by measures meant to stimulate inflation, which in a normal situation would eventually help alleviate the debt problem! I’m still sceptical, and it’s strange that I haven’t read a similar prediction elsewhere. But I can see that it’s atleast plausible, given the circumstances. It would seem that it takes atleast a few years for the markets to realize that devaluation of Yen won’t lead to lasting inflation in itself. How will the market react? However, if the demographics is the problem, could not demographics also be the answer? I’m going to play devil’s advocate here. The Nordic model looks like a possible way out of the demographic trap. Norway, Sweden, Denmark, Finland and Iceland have all comparatively high birth rates, which have been slowly rising in the past decades. They’ve averaged roughly 1,8 in the past 20 years, and even higher in the past 5 years. Partly this is cultural, but it’s important to realize that all of the Nordic countries used to have very low birthrates, only slightly higher than Japan’s. It’s doubtful that the culture of these countries has drastically changed, and more likely that structural factors; welfare, social and economic policies are the reason. It would probably be too late for Japan to adapt these measures without total reversal of immigration policies and other radical structural changes, but I think it’s plausible that Europe still has time. Adopt the Nordic model across Europe, pay for them with Eurobonds and printing press. At the very least I can see there is a way out, if not for Japan, then for the rest of the world. Another matter is how and if this could be achieved. So what is the difference between the price of stores’ inputs going up causing *in*flation and the price of stores’ inputs going up causing *de*flation? Having met BoJ people they seemed perfectly happy with a bit of deflation and very averse to rising prices. That’s why we’ve had deflation. Demographics affects supply and demand. Difficult to say which will affect prices more. Just right now the Japanese boomers are retiring so we still have their demand but are losing their (labour) supply. Sounds inflationary to me. You probably mean “out of deflation”. You probably mean “which produces the deflation”. Hi, loved the post. But I was wondering if you could expand on the second to last paragraph. I’m not sure I understand the connection between Japan’s monetary policy and Italian bond yields. It is not correct to state that Japan has already attempted bouts of monetary stimulus. Since the collapse of the Bubble Economy in the early nineties, M2 growth has never exceeded 5%. At present it is growing at 2.1%, year-on-year. If the BoJ were truly prepared to target either inflation or NGDP, it could print yen in sufficient quantity to do so. There is nothing to prevent the ECB from increasing the NGDP growth rate from the current 0% to say 5%. This would grow government revenue, reduce the deficit, and increase the denominator of the D/GDP ratio. The simplest way to achieve this goal is to raise the yen price of gold or the dollar. “I’m not sure I understand the connection between Japan’s monetary policy and Italian bond yields”. Well, I’ll be doing a separate post to explain this, on the new phase in the Euro debt crisis, but in simple terms look what is now happening to periphery bond yields – they are coming sharply down, even as the real economy is deteriorating in an interminable depression. It is only a matter of time before several of these economies hit deflation. They have exactly the same low birth rate problem Japan has, and now young educated people are leaving in increasing numbers. Portugal, which is almost going terminal in this sense has just been able to make a successful bond sale. So why are the bond yields falling? Two reasons. The first is a practical one, the Japanese are exporting liquidity, making a nice cheap “carry” trade borrowing in Japan and lending to the Italian or Spanish governments. But the second and more important reason is that Draghi is effectively guaranteeing these bonds, since he has said he will do whatever it takes. People are accepting this guarantee, and that is why they are buying even though the deficits remain and the debt is starting to head up towards Japanese levels (Italy at 130% of GDP and rising). This is all only sustainable if Japan can handle its problem, and succeed in stabilising the debt even as its workforce shrinks. Italy has exactly the same problem, so if Japan falls so does Italy. “So, isn’t Krugman’s take that their problem is rooted in savings consistently exceeding investment rather questionable? In any case, some of Japan’s best growth periods occurred when the trade surplus was highest (i.e. savings most exceeded investment)”. Well the issue isn’t saving as such, China has been saving massively in this sense over the last decade and has had near double digit growth. The issue is lack of investment, and lack of domestic consumer borrowing. The issue really isn’t saving but the lack of sufficient demand. Companies save rather than invest because the final domestic end demand does grow enough to justify the extra spending. The other alternative is to get export surpluses, since positive net trade adds to GDP, external demand replaces the missing internal demand. This worked as long as the yen was cheap (120 to the USD in pre crisis days), but then the yen rose to 80 to the USD, and Japan’s goods trade went into deficit (aided by the energy problem following the tsunami). Naturally, even if we aren’t seeing inflation the country’s economy is getting some benefit from more exports. The problem is that as the country’s workforce ages it may find it harder and harder to keep pounding up the exports. But this is a separate issue, and the line of attack isn’t the one Krugman is currently using (standard neo classical growth model) where he thinks inflation can somehow get the country back to a balanced path involving both internal demand and exports which is an outcome I just can’t see. Even Krugman himself seems to have doubts, since he said: “Here’s the thing, however: the economy won’t always be in a liquidity trap, or at least it might not always be there”. (Monetary Policy in a Liquidity Trap – NYT April 11 2013). The use of that little word “might” is striking for such a bold experiment. In fact once you look into it he is hedging his bets all over the place. I mean, in the same article he says: “So, at this point America and Japan (and core Europe) are all in liquidity traps: private demand is so weak that even at a zero short-term interest rate spending falls far short of what would be needed for full employment”. And in The Japan Story (NYT February 5 2013) he even says: – “Oh, and what about the US relevance? We are, for the time being, in the same situation diagrammed above. What I think you can argue is that because we don’t share Japan’s demographic challenge, our liquidity trap is probably temporary, the product of an episode of deleveraging”. Temporary? Doesn’t that imply Japan’s may be permanent, which it only “might” escape. I think the more you examine this story the more it falls apart intellectually. Agreed. And it wasn’t much of a story to begin with. It’s amusing, ironic even, that Krugman so delights in caricaturing those who believe in what he calls “the confidence fairy” (a point on which I agree with him) and yet seems unable to see he’s guilty of the same thing. In spades. He assumes (hitherto quite blithely) that if you just keep pumping things up for long enough, the private sector will finally take over the baton and all will be well. From what you’re saying, maybe not quite so blithely any more. That would be a delight . . . . Naturally, this can happen, and we may see a year of inflation. But what I am trying to argue is that the economy lacks the normal pass-through mechanism, so the inflation enters the data one year and exits the next. Unless…. unless you devalue every year by just enough to produce 2% inflation. I have two issues with this scenario. The first is that I can’t see the G20 accepting permanent debasement of the yen, since the export competitiveness gain would be massive. And secondly, even if they would, the experiment is designed to produce a change in expectations towards inflation and then a behavioural consequence of this shift in terms of more consumer spending. What I am arguing is that it is more probable that ordinary Japanese begin to change expectations towards yen devaluation, and then their behaviour towards making money by parking savings abroad, thus creating the run on the currency. Edward, your point about the near impossibility of creating “normal” inflation under current conditions seems to me not only right but vitally important. What’s fascinating is the surreal nature of current policy. Playing with people’s faith in a form of money which is utterly reliant upon confidence seems an astonishing act of bravado. Like you (and Soros), I’m pretty sure there’s a line out there beyond which new (and indeterminate) rules will apply. We may end up crossing it in the darkness, so to speak, and if we do, coming back may not be so easy. Post crisis, because of an increased willingness to hold money, the secular deflationary undertow born of excessive debt, and the sort of factors you’ve laid out, the inflationary effects of aggressive monetary policies have lagged far behind. In the second part of my comment, I was wondering whether that relationship mightn’t flip once the “line” is crossed. With, as you say, a potential run on the currency, inflation could end up running far ahead of actual money creation. Unfortunately, it seems the elements may be falling into place for a truly hallucinatory experience. Well done, you are right to be sceptical. The proof of the pudding will be in the eating. Popper thought science was built on the back of daring falsifiable predictions, but not all daring predictions turn out to be valid. We will see. “Unfortunately, it seems the elements may be falling into place for a truly hallucinatory experience”. I completely agree with the line of reasoning that brought you to this conclusion. That is why I am opposed to the Japan experiment, not because I am convinced I am the source of all reason, but because I think the costs of failing are so, so high. Here in Europe failure in Japan will jump start the Euro crisis immediately, and with populations in the South “war weary” after 6 years of suffering and false starts tempers will be worn thin. In addition, almost everything that can be has been tried at least once. Combustible terrain I would say. Yes, unfortunately all too combustible. Would that our lords and masters had a touch of the humility (and awareness of risk) you display in the second paragraph immediately above.